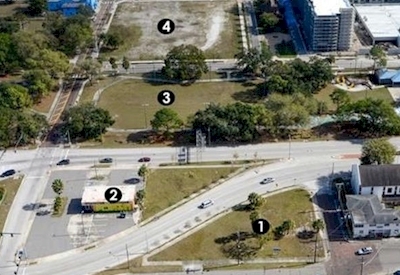 DOWNTOWN TAMPA (Vacant Land): If building your dream home in the midst of the hustle and bustle of the city sounds right up your alley, you must check out the vacant land available in Downtown Tampa. Located near the best in terms of shopping, dining, and entertainment, these limited residential lots are considered to be a prime slice of real estate. You’d never guess, but many of these lots are nestled in quiet communities that give you the peace of the suburbs, while still enjoying all the city has to offer. When it comes to local attractions, you’ll find there’s always something to see or do in the area. Whether you want to take a stroll at the Curtis Hixon Waterfront Park or watch a concert at the Amalie Arena, fun is the name of the game when it comes to living in Downtown Tampa. As for dining, there’s a wide variety of options to choose from. For a great happy hour, we recommend stopping by Ulele for delicious handcrafted cocktails. So, are you ready to get those blueprints out and break ground? Downtown Tampa is ready when you are!